The term “auditory processing” has experienced an increase in attention over the past several years, as awareness has been raised for the diagnosis of auditory processing disorder (APD). With the rise in awareness for this disorder, it is important to fully understand the components of auditory processing to avoid confusion and misdiagnosis. processing auditory information there are several steps that take place. First, the listener needs to remember and organize the information that was presented to them. Once that information has been retained, the listener must discriminate between the received signals – listening for the differences in the speech. This step will help the listener determine what speech-sounds were produced and with what intonation/prosody (i.e., discriminating a question from a statement). The auditory information is then sequenced and conceptualized (i.e., meaning is applied to what was heard). Lastly, the auditory signal that has been processed is synthesized to receive the “main idea” of what was said. The components of auditory processing are intricate and complex. It is clear that if one skill set is weak, that will ultimately affect that person’s ability to correctly understand spoken information. It is important to recognize that an auditory processing disorder (APD) is not a result of a higher cognitive or language disorder, but is an auditory deficit. There are other disorders that can also affect a person’s ability to accurately understand auditory information. For example, a child with ADHD will have difficulty accurately following and understanding verbal information – however this is due to an attentional deficit, rather than his or her ability to process information. Likewise, a child with autism spectrum disorder will also have difficulty comprehending spoken language, however, again this is due to a high-order language deficit. It is possible for APD to co-exist with another disorder, however, careful diagnosis by a certified audiologist is necessary for an accurate diagnosis. See below for a list of behaviors that are common for children to exhibit who experience difficulties with auditory processing. Inability to consistently and accurately follow directions. Difficulty discriminating similar-sounding speech sounds (i.e., /b/ versus /p/). Frequently asking for repetition or clarification. Poor performance with spelling or understanding information verbally presented. Child typically performs better on tasks that don’t rely on listening. Resource: Bellis, Teri James. 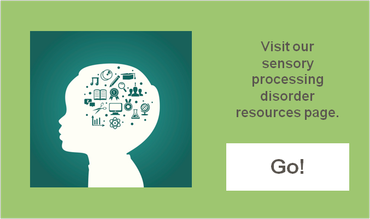 Understanding Auditory Processing Disorders in Children. American Speech-Language-Hearing Association. Retrieved from http://www.asha.org. https://nspt4kids.com/wp-content/uploads/2015/06/auditory-processing-FeaturedImage.png 186 183 Katie Devore, MA, CCC-SLP https://nspt4kids.com/wp-content/uploads/2016/05/nspt_2-color-logo_noclaims.png Katie Devore, MA, CCC-SLP2015-06-11 19:46:362015-06-14 13:11:27What is Auditory Processing?